Charles Miano (b. 1977) As Founder and Director of the Prestigious Southern Atelier Center of Fine Art in Sarasota, Florida, American Painter, Charles Miano, is making a notable impact on contemporary representational art. Through his atelier, Miano is recognized for his teaching and generous support of emerging artists. 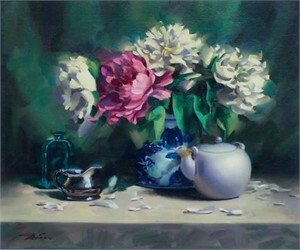 He has himself studied and taken courses with some of the most prominent Impressionist and Realist Artists alive today including but not limited to, Steven Assael, Clayton J. Beck III, Timothy Cho, John Ebersberger, Robert Liberace, Mary Minife, Stephen Perkins, Nelson Shanks and Daniel Thompson. He has also attended workshop courses at the noted Florence Academy of Art in Italy and classes at Studio Incamminati in Philadelphia. 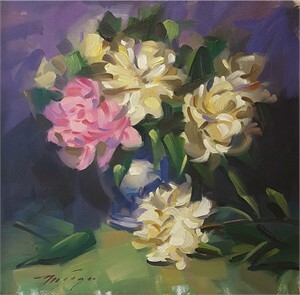 Known for his knowledge of drawing and mastery of color, Miano's bold brushwork and luscious use of paint has won praise and admiration from many collectors. Influenced by the long standing tradition of painting from nature, Miano believes each painting to be an enduring expression of the spirit of nature's consciousness, imbuing life and vitality to all his work.